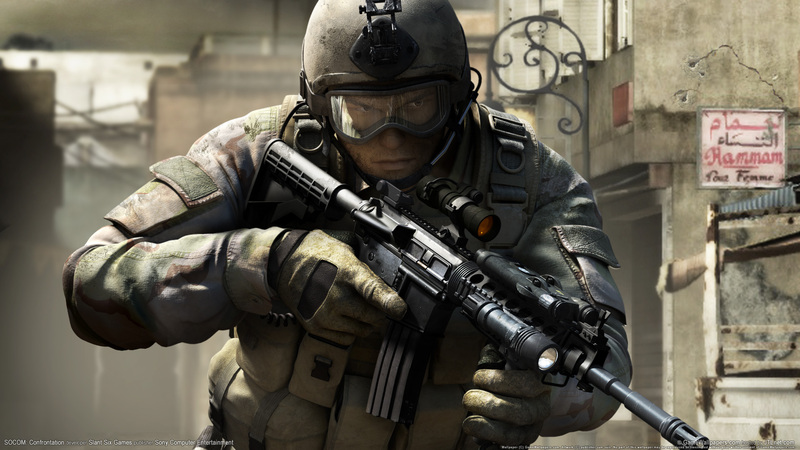 Краткое описание: SOCOM: Confrontation focuses on online play and the global community and clans that support it. With support for Tournaments, Clan Ladders, Leader Boards, this latest title in the multi-million unit selling franchise is exactly what SOCOM fans have been clamoring for. Additionally, players will be able to modify their appearance through facial and physical customization. 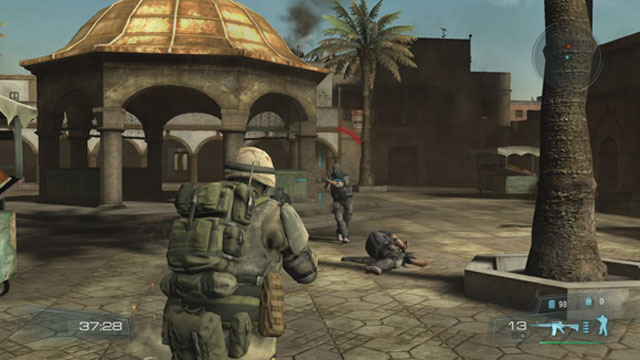 A global-scale experience, SOCOM Confrontation gives players the opportunity to battle against the best and brightest from the U.S., Europe and Asia. SOCOM Confrontation deploys with five new North African themed maps, including a 32-player version of "Crossroads." Additional themed packs for SOCOM Confrontation will be made available for download via the Playstation Store. 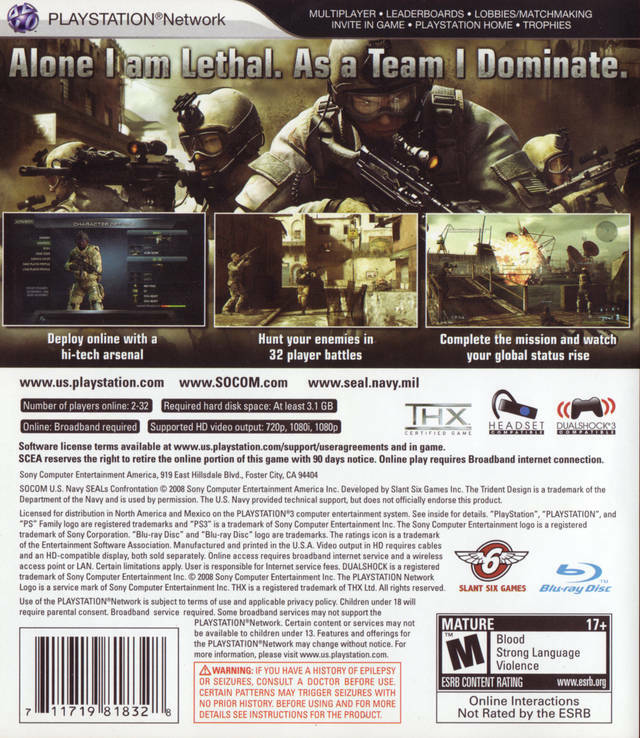 SOCOM: Confrontation focuses on online play and the global community and clans that support it. With support for Tournaments, Clan Ladders, Leader Boards, this latest title in the multi-million unit selling franchise is exactly what SOCOM fans have been clamoring for. Additionally, players will be able to modify their appearance through facial and physical customization. A global-scale experience, SOCOM Confrontation gives players the opportunity to battle against the best and brightest from the U.S., Europe and Asia. SOCOM Confrontation deploys with five new North African themed maps, including a 32-player version of "Crossroads." 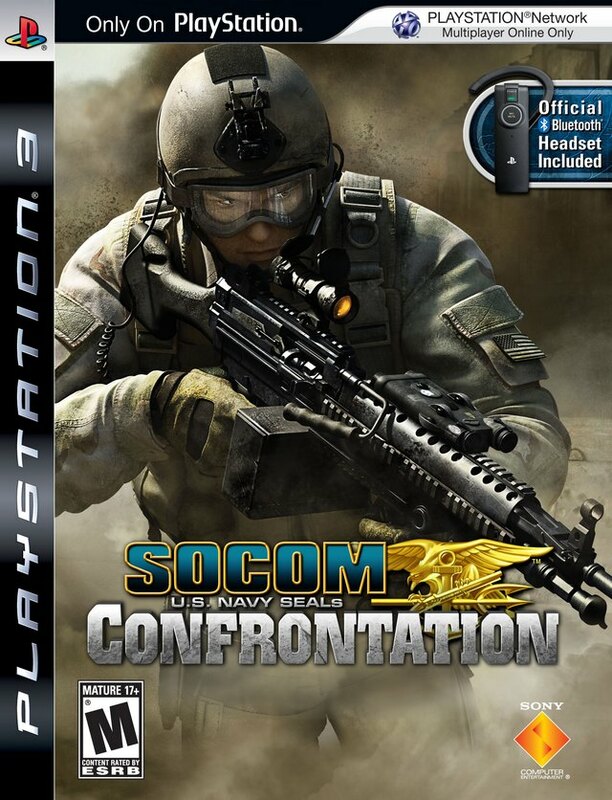 Additional themed packs for SOCOM Confrontation will be made available for download via the Playstation Store.